Beauty and Chestnut. 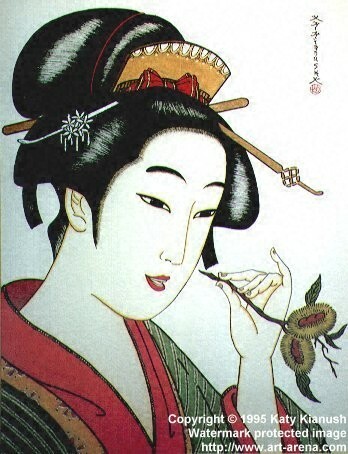 A painting from the artist's "Bijin" (Beauty) series. Art Arena and we will be happy to answer any questions that you may have.